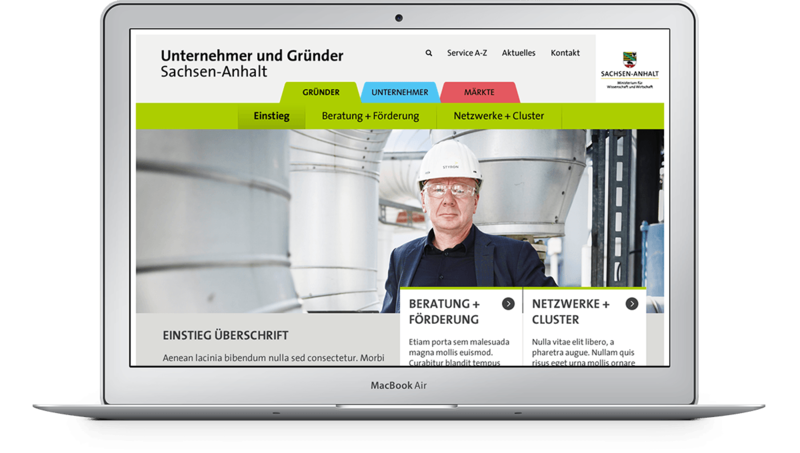 The Investment and Marketing Corporation Saxony-Anhalt offers a lot of help and information for existing corporations and entrepreneurs in the region. 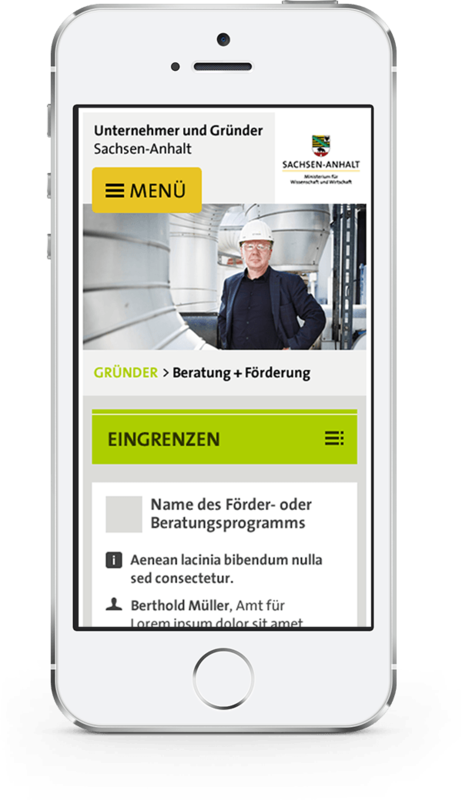 We were asked to design a site, that aggregates all that content in an accessible way for the users. In the first step we defined proto-personas to get a better understanding of the users and their needs. 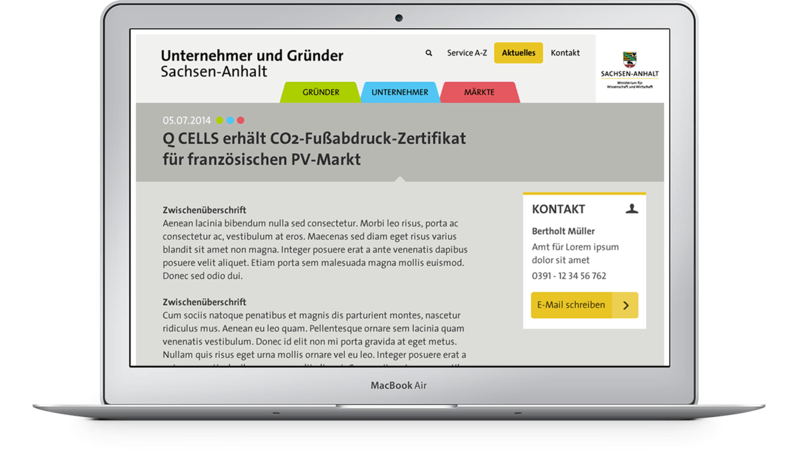 Based on those the main site structure was split into “Entrepreneurs”, “Corporations” and “Markets”, which is reflected in the navigation and entry points at the homepage. 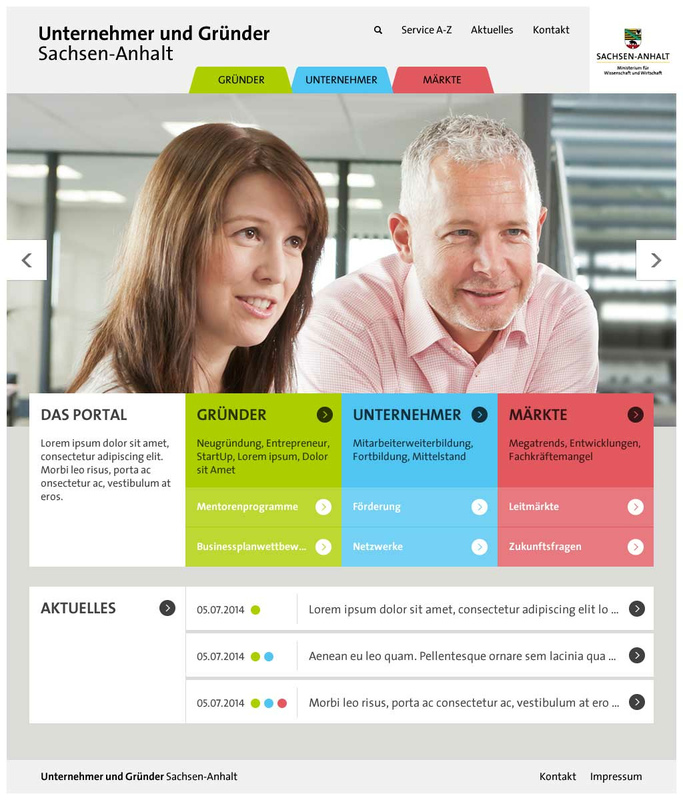 After that the overall information architecture, navigation, page types and needed modules were defined. 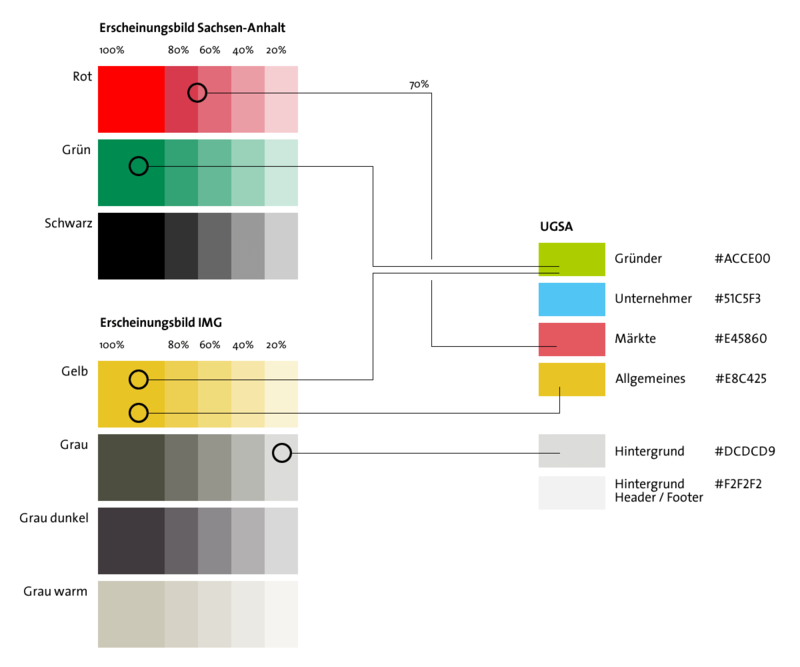 The existing print style guide of Saxony-Anhalt and Investment and Marketing Corporation were starting points to develop a simple, color coded visual system for the site, that also works for color blind users. The basic layout and all elements are defined in a flexible way, to provide a consistent experience across all device sizes. The visual style was developed simultaneously and is very reduced to pure, colored areas that offer room for the content. Implementation was done by webvariants.